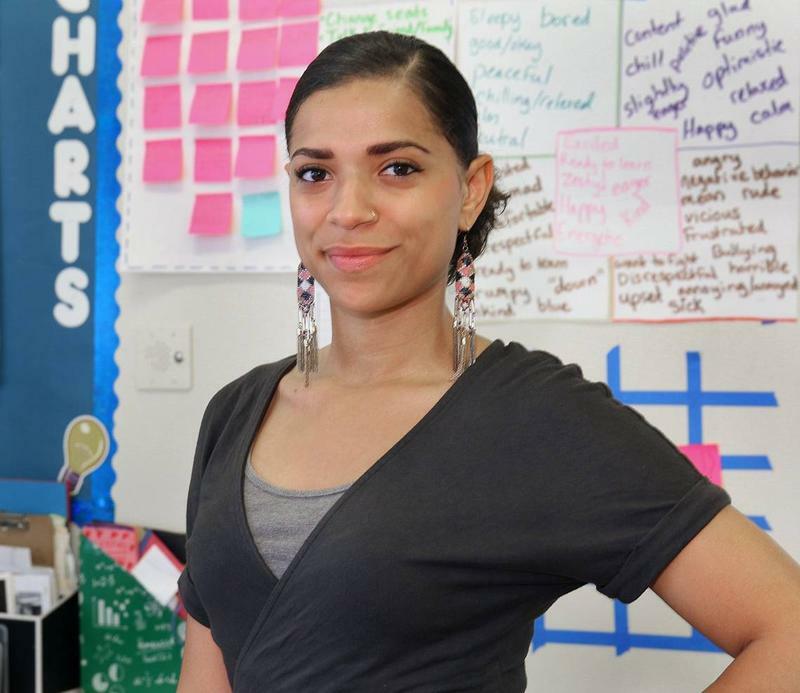 What is it like to be a teacher in South Florida? 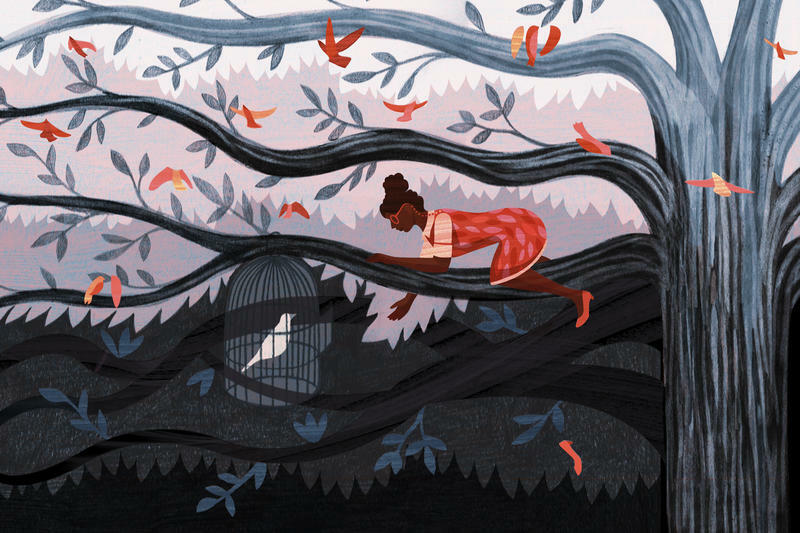 What are the challenges teachers face daily? According to the Florida Education Association (FEA), approximately 250,000 students started school without a permanent teacher. There are more than 4,000 teacher openings across the state. Broward voters put aside their concerns about school district financial management and approved a new property tax earmarked for teachers, school security officers and student mental health care. The tax is expected to raise $93 million a year, most of which will be used to give teachers a 6 percent raise. The higher pay will last for four years and would have to be renewed by voters in 2022 to continue. 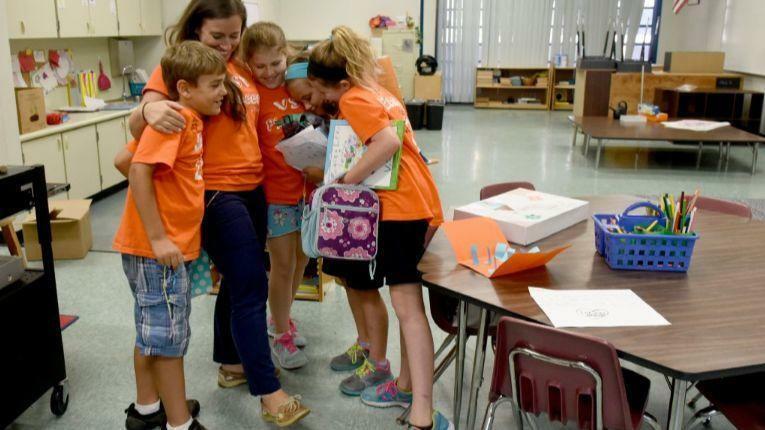 Most public schools in South Florida provide few supplies to teachers at the start of a new school year. Dwan Hunt McClain is a teacher at North Miami Senior High School. She said the school gives her a stapler, a pack of paper and maybe some pens. "Everything else is on us," she said. The Education Fund, an organization that was created to find ways for the private sector to help public education, has been providing a space for teachers to get school supplies for 25 years, through a partnership with Ocean Bank. Miami-Dade Is An A-Rated School District. 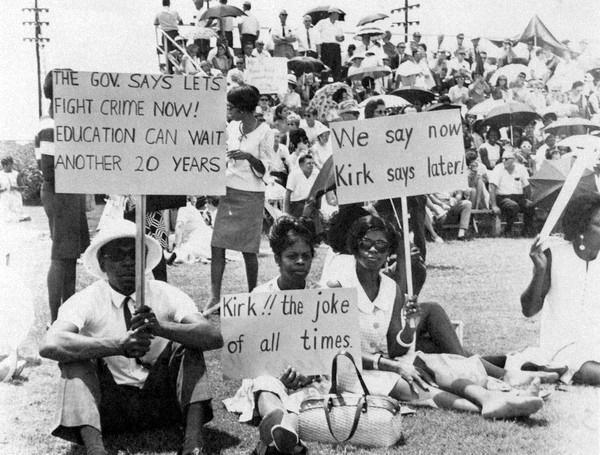 Will Voters Decide To Pay Teachers More? 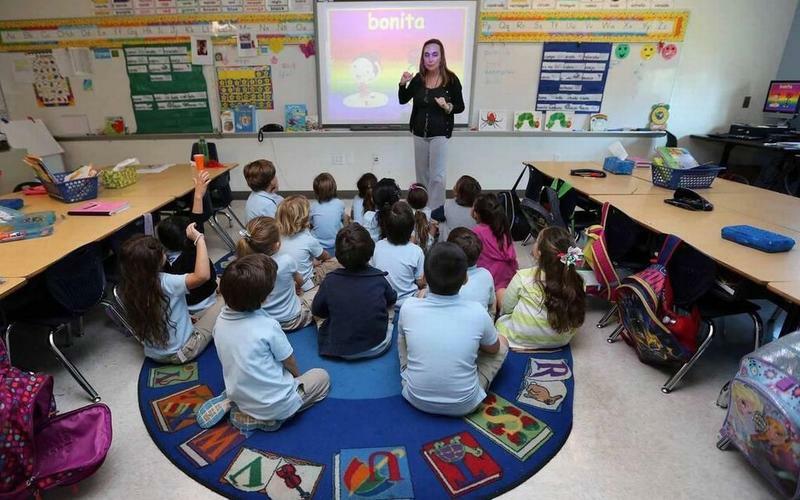 Fed up with lack of funding from Tallahassee and under pressure from a frustrated teacher corps that can't keep up with skyrocketing costs of living, the Miami-Dade County school district may soon turn to voters for help. At a special board meeting Wednesday, the School Board unanimously voted to direct district staff to develop language for a referendum to be placed on the November ballot. It would ask voters if they would pay more in property taxes to supplement educator salaries and fund school safety personnel. Public education activists rallied on Monday morning against a new Florida law that threatens the existence of teachers' unions. 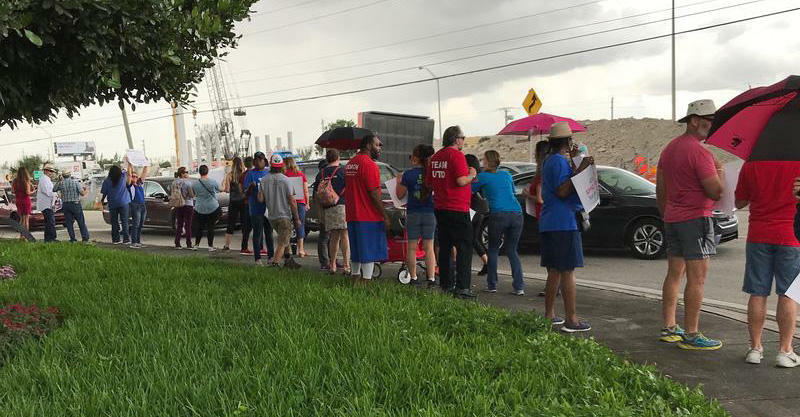 Dozens of public school teachers filled the sidewalk outside a Miami-Dade County School Board meeting earlier this month, demanding raises with loud chants and colorful signs. Students in South Florida could soon have an app to help them with their mental health. 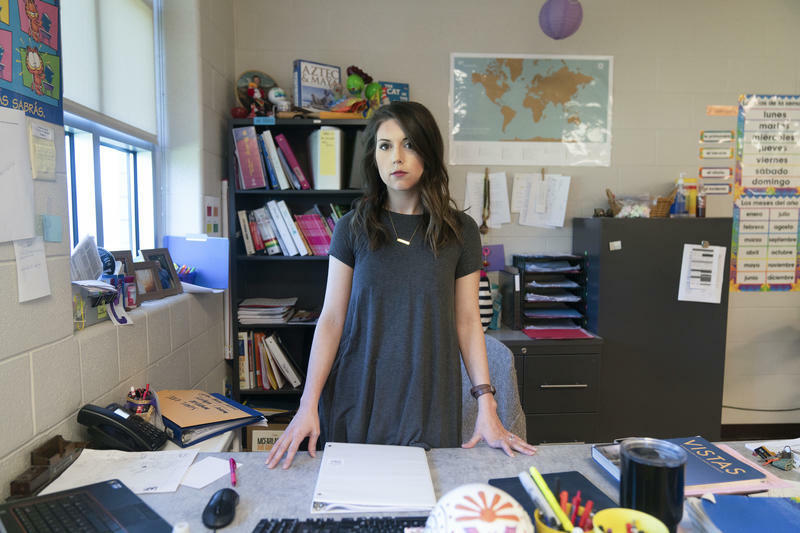 Teacher Samantha Pratt came up with the idea as a way for students to find help dealing with personal or school stressors. The app, called Klickengage, would also let teachers know the mental states of their students before the school day gets underway. 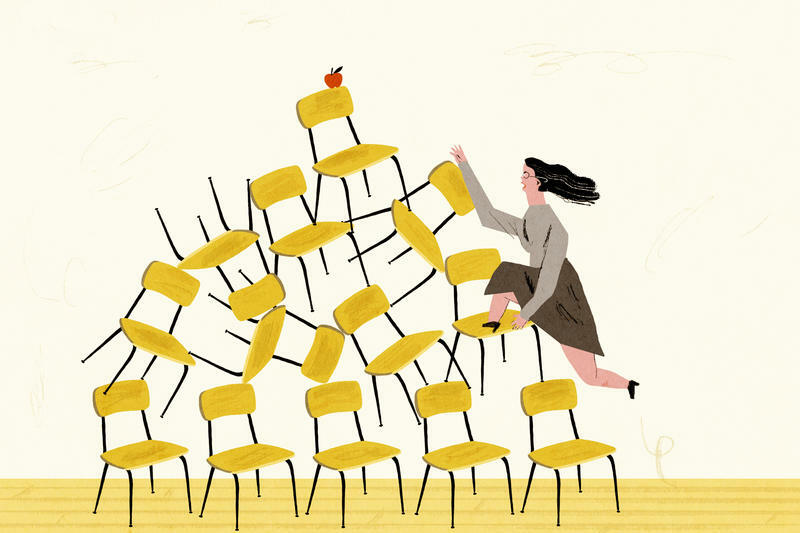 It's a financial nightmare for public school teachers across the country: Federal grants they received to work in low-income schools were converted to thousands of dollars in loans that they now must pay back. 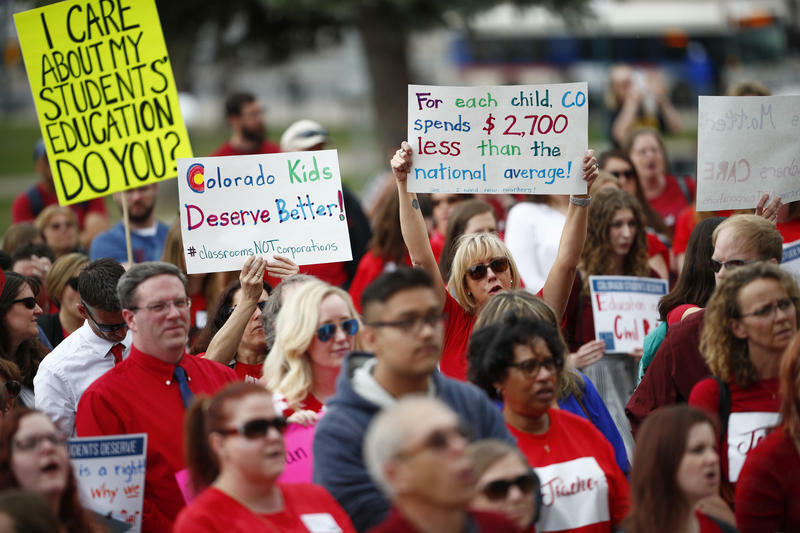 Teachers nationwide are protesting their paychecks. Educators in Arizona voted to walk out, joining similar efforts in Oklahoma, West Virginia and Kentucky. Teachers are speaking up at the same time that students around the country are mobilizing against gun violence. Thousands of public school students across the country planned to walk out on Friday in remembrance of the 19th anniversary of the Columbine High School shooting that killed 13 people in 1999.